My blender is definitely one of the most used kitchen appliances that I own. I use it everyday, sometimes more than once. It has been a fabulous tool in helping my family transition to a grain-free, sugar-free, low-carb lifestyle. This post details all the wonderful things I do with my blender. I hope it gives you some new ideas. Most of all I hope that it inspires you to give this “grain-free” approach to eating a go. Of all the things my family has changed about the way we eat, I would have to say that avoiding grains and gluten has been the best thing we have ever done for our health. I make my own almond milk because the almond milk that one can buy in the health shops are very expensive and often contain other ingredients like sugar. Home-made almond milk tastes delicious and can be used over Grain and sugar free muesli, in smoothies , hot drinks or just as is when wanting a cold drink. The bonus is that almond milk only has about 1 – 2 grams of carbs per cup (provided you don’t sweeten it too much). You can also make your own coconut milk in the blender. 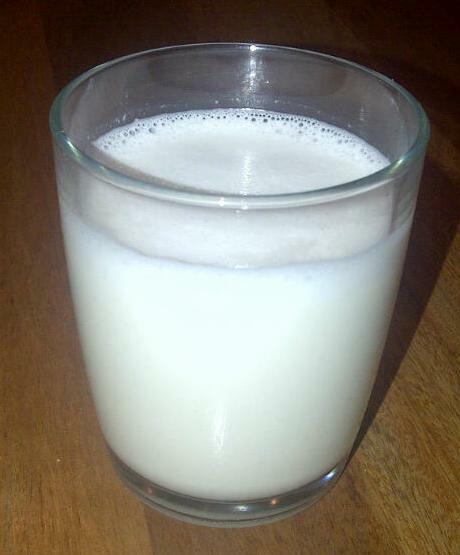 See my previous post for how to make your own almond milk. When I bake, I use almond or coconut flour. Sometimes these flours can be difficult to get hold of and they can be quite expensive. Fortunately, I can make my own flour in my amazing blender. Just use blanched almonds and whizz until fine to make almond flour and do the same with coconut flakes for coconut flour. Here is a yummy recipe for banana cinnamon muffins using almond and coconut flour or maybe you want to try and make some chocolate chip cookies. Unfortunately the mayo one buys in the shops is packed full of nasty ingredients like toxic vegetable oil. If you have a blender, it’s very easy to make your own mayo from real ingredients like light olive oil or macadamia nut oil, lemon juice, mustard powder and eggs. Check out this “how to” video clip by Sarah Fragoso from Everyday Paleo. 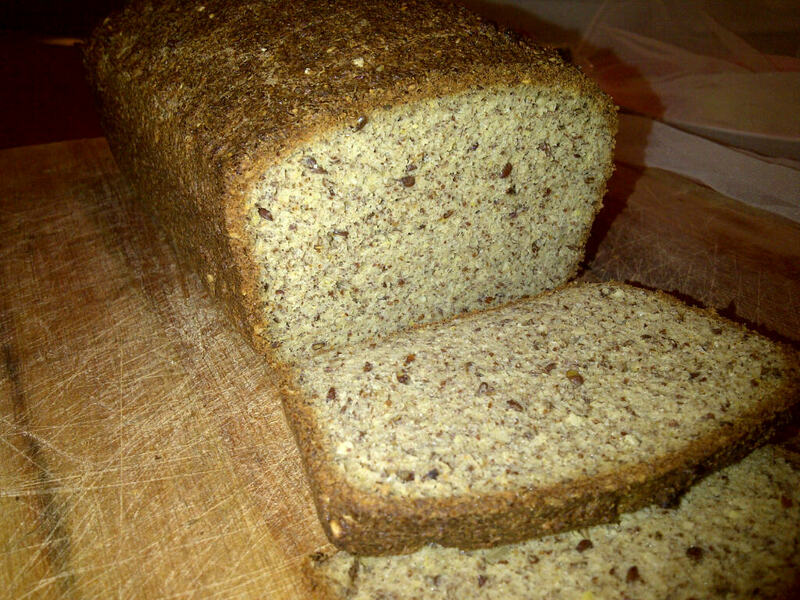 Many low carb bread recipes call for milled flaxseed. Flax seeds go rancid very quickly once they have been milled so never buy milled flaxseed or flaxseed meal in the shops. The better option is to buy whole flaxseeds in bulk and mill them yourself as and when you need them for a particular recipe. Just pop into the blender and pulse for a few seconds until milled. Check out this blog post from Authority Nutrition for 15 different bread recipes options. This is my children’s favourite breakfast. I make them LCHF smoothies packed with coconut cream, almond milk, berries and whey protein powder and even sometimes a raw egg (but they don’t know that). I use ice or frozen berries which my blender macerates into a cool, smooth and creamy smoothie within 1 minute. It is also a great way to get probiotics into them every day as I break open the capsule and just stir it into their smoothie. 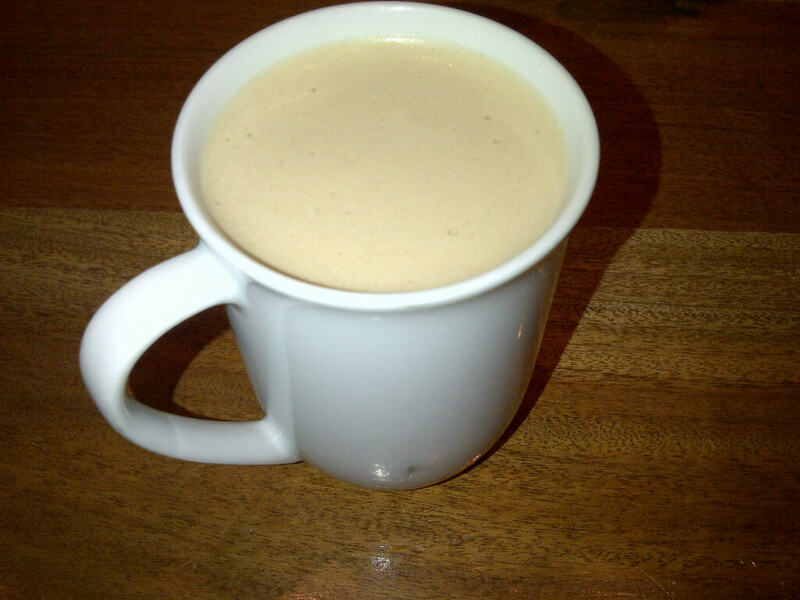 Here is my recipe for a LCHF mocha smoothie. Forget about the junk you buy from the ice cream truck. It is filled with sugar, preservatives and lots of colorants and artificial flavourings. 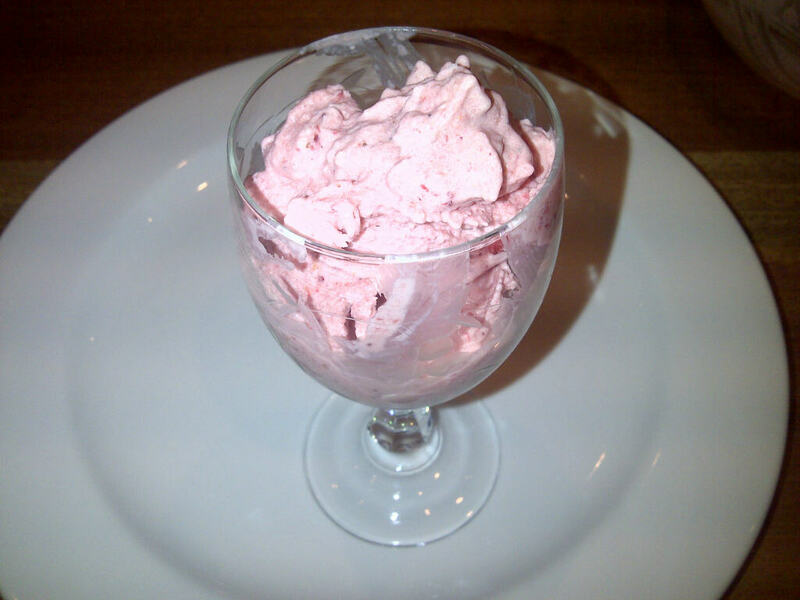 Just put frozen strawberries (or any frozen fruit) into the blender with some cream and vanilla extract (or if you are dairy intolerant use coconut cream) and sweeten with stevia or xylitol. Blend until smooth and thick. Again, nut butters bought at health food stores can be prohibitively expensive. Rather try and find a good supplier of nuts and buy in bulk to reduce the cost. Then try your hand at making your own cashew nut, macadamia nut or almond butter. Check out this video clip of how to make your own nut butter. This is one of my favourite quick breakfasts when I don’t have a lot of time. The thing is you just will never get that creamy latte consistency unless you emulsify the butter and coconut oil into the coffee. This is where my blender does the trick. If you have never heard of bullet coffee, check out this previous post. You are missing out if you have never tried one! This is an excellent way to get the full nutritional benefit from veggies. There are loads of recipes on the internet for raw soups which can be served cold or if you let the blender run for long enough, the friction of the blades creates enough heat to warm the soup for you. No pots and pans required. Here is a video clip of how to make hot Tomato and Basil soup in a high-powered blender. If all else fails, then just make yourself a nice big frozen margarita or daiquiri and call it a day. Just remember to replace the sugar with xylitol or stevia. I hope this post has been useful and has given you some good ideas of what can be made in a blender. After conducting my own research into blenders, I decided to purchase an Omniblend. It pretty much does everything a Vitamix can do but is half the price. It is classified as a ‘super blender’ and has a 3 horsepower motor. I am very happy with mine and how it has helped me and my family to enjoy delicious food and be healthy at the same time. Posted on April 6, 2014, in Meal inspiration, Primal 101 and tagged almond flour, almond milk, blender, blender recipes, omniblend. Bookmark the permalink. 3 Comments. Hi Nix! Andrew and I love your blog and use it often for ideas and info:) After making our coffee bombs in the morning, I rinse the blender and blend Charlie’s formula with coconut oil, butter and vanilla essence to mix with his oats in the morning…absolutely delicious! Do you have any other ideas for kids meals that can be used together with our meals? Just to make my life a little simpler? This is my 1st comment here so I just wanted to give a quick shout out and tell you I truly enjoy reading your posts. Thanks for the positive feedback. Check out the Resources page of my blog for links to other blogs that I enjoy.